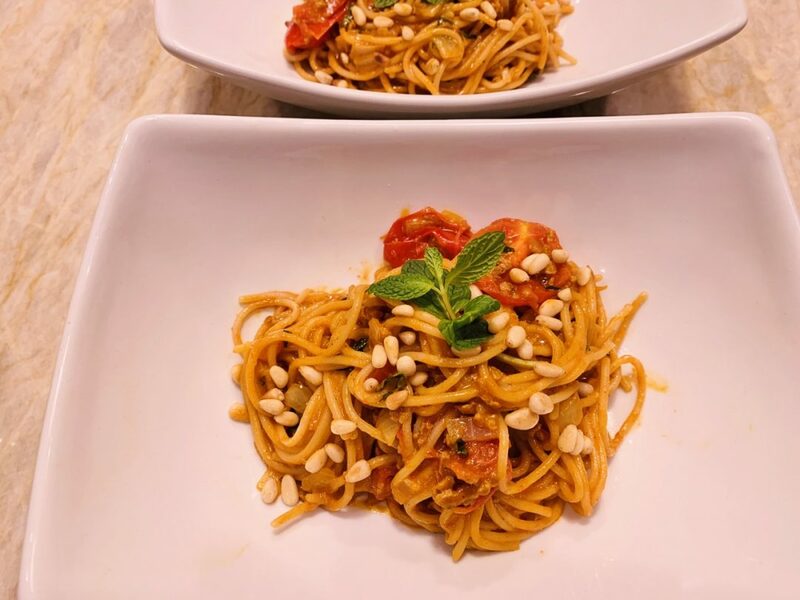 Vegan Chorizo Spaghetti with Cherry Tomatoes - Recipe! - Live. Love. Laugh. Food. 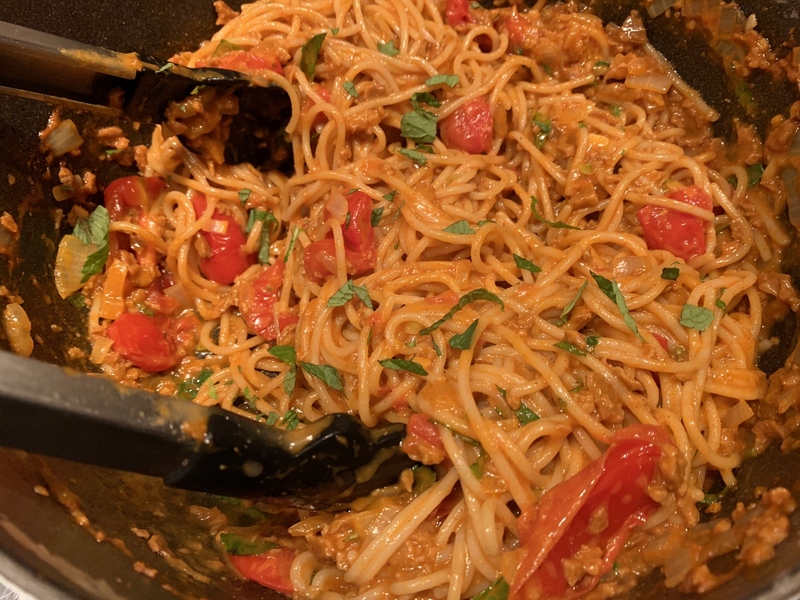 Vegan Chorizo Spaghetti with Cherry Tomatoes – Recipe! Eating vegan is something I don’t do often and probably should make it part of my regular diet. 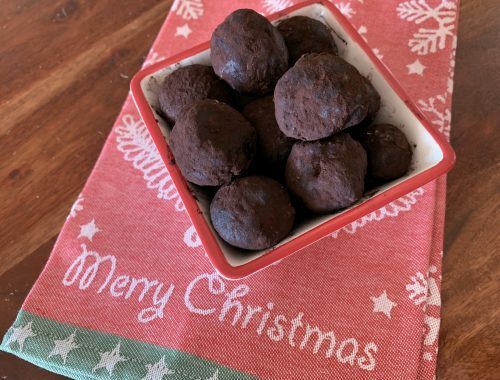 For me, it’s about flavor and many times a meal of starch and vegetables, even if cooked properly, doesn’t always have the same pizzazz as if meat is incorporated. I don’t often eat large steaks or big hunks of meat, but there are occasions when I crave a good pork chop. However, I have found to enjoy soy chorizo, it is one of those things that can really perk up a vegan dish. Cooking with soy chorizo is as simple as using the pork version. It’s found in the meat section of most grocery stores and looks the same color as meat chorizo because of all the herbs and spices. You might be thinking by now that this is a sponsored post, but it’s not. 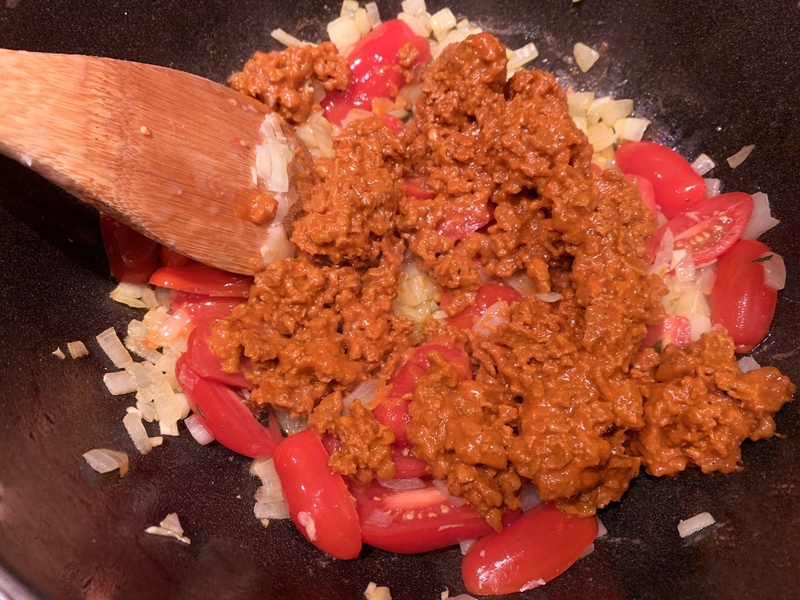 I’ve come to love soy chorizo all on my own and find it’s amazing in all kinds of recipes, especially added to spaghetti with cherry tomatoes. Soy Chorizo has the same spicy kick and when incorporated into spaghetti becomes the most magnificent sauce. 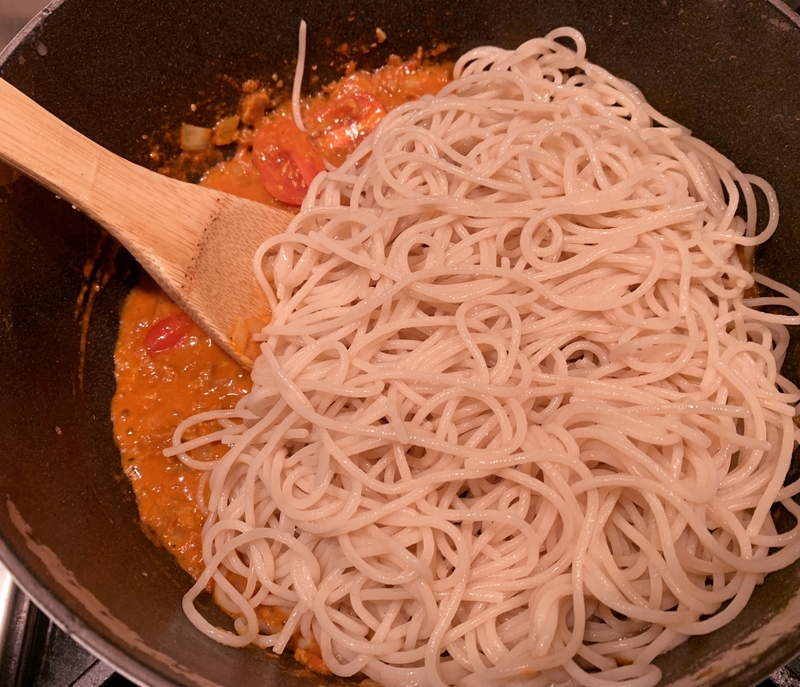 I reserve a little pasta water, which has it’s own natural starch and mildly thickens and smooths out the vibrant flavors. Cherry tomatoes when cooked, become a sweeter version of themselves – sort of like me at Disneyland. The entire pot of spaghetti is made within minutes and it truly tastes restaurant quality with just the right balance of texture and taste. This is one vegan meal you will enjoy and not feel as if you are missing out on anything. Boil spaghetti in salted water for 9 minutes, drain (reserving 1 cup pasta water). In a large pan, add 2 teaspoon olive oil and place over medium heat. Add onion, 1 1/2 teaspoon salt, oregano and 1/2 teaspoon black pepper, stir. Saute onion mixture for 3 minutes. Add tomatoes and continue to cook for 2 minutes. Remove soy chorizo from packaging and add to onion mixture, stir to combine. Add 1/2 cup pasta water and stir, cook for 2 minutes. Add spaghetti to chorizo mixture and toss with tongs. Add more pasta water to thin if necessary. Add mint and toss again. 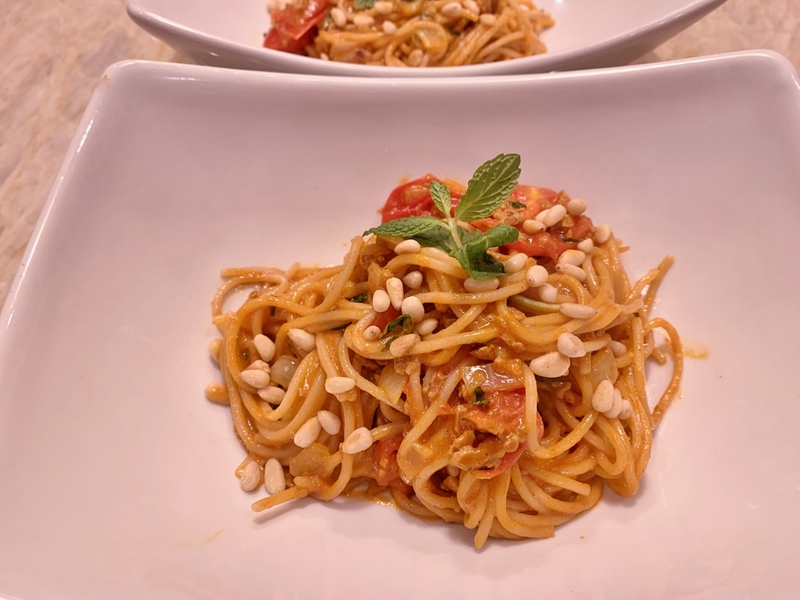 Spoon pasta into bowls and top with pine nuts. Enjoy! 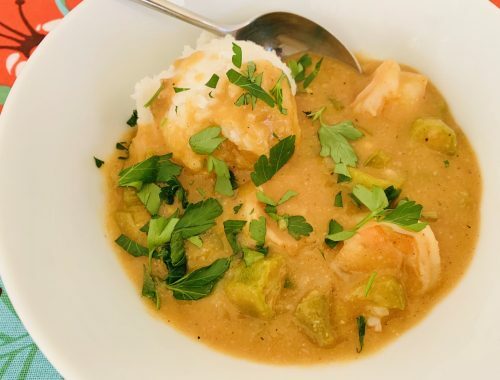 Instant Pot Shrimp & Okra Gumbo – Recipe! 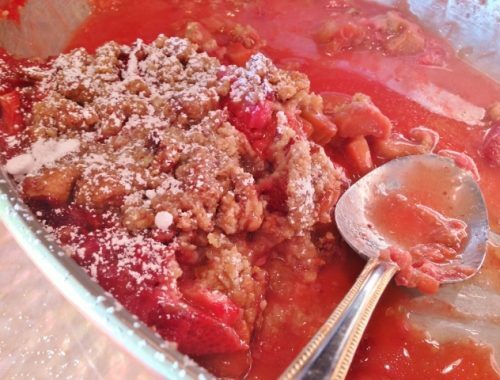 Strawberry Rhubarb Pecan Crisp – Recipe!